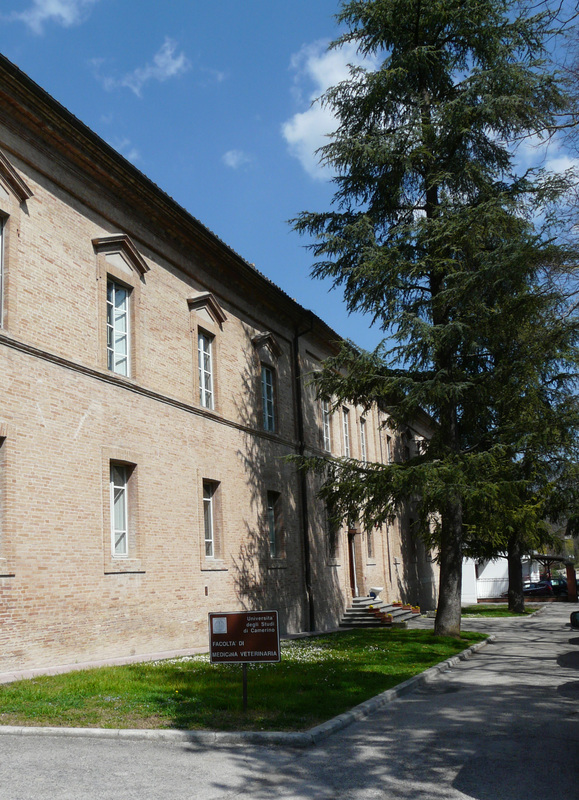 The “San Sollecito”, an architecturally significant XIVth century building completely restructured in 1990, is now the main location of the seat of the School of Biosciences and Veterinary Medicine in Matelica. It houses some staff offices, the administrative offices, the Student Office, one meeting room, one didactic room (Aula Azzurra), one computer room and teaching/research laboratories referring to basic sciences, pathology and food inspection. Almost the entire ground floor is intended for clinical activities: clinical pathology laboratory, surgery unit, digital radiology, physiotherapy-rehabilitation unit. This floor provides access to an outdoor area where additional facilities for physiotherapy and rehabilitation exercises and some external boxes for dogs are located.